The SMOK Bulb Pyrex Glass Tube has a big belly for large e-juice capacity to 6ml. It is designed for SMOK TFV8 X-Baby Beast Tank Standard Edition only. 1pcs each pack. Designed for the SMOK TFV8 X-Baby Standard Edition, the Bulb Pyrex Glass Tube #3 has a big belly, which can effectively enlarge the e-juice capacity. 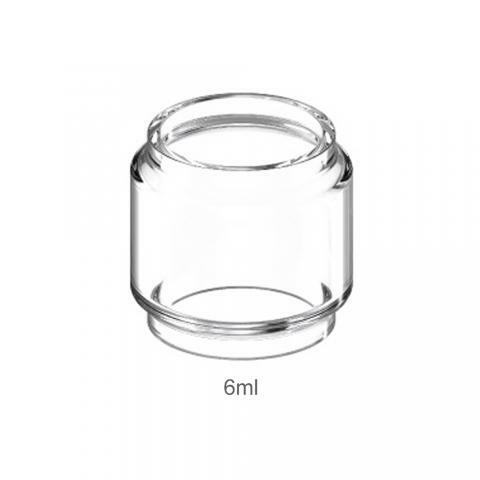 You will have large capacity to 6ml. Made of Pyrex glass, it is durable and safe in vaping. 1 pieces each pack. Just get it as a spare part. • It is designed for SMOK TFV8 X-Baby Tank (Standard Edition-4ml only).